MyPhone My112 Announced, Priced At ! The Only Emergency Phone You Need! 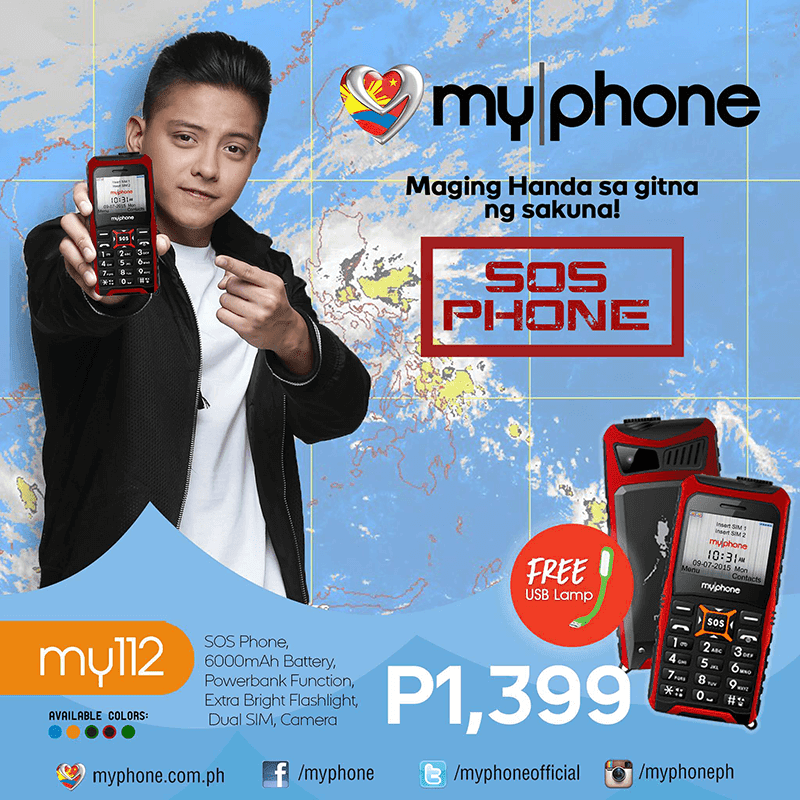 Home / mobile / my112 / my112 emergency phone / my112 sos / my112 specs / myphone / news / MyPhone My112 Announced, Priced At ! The Only Emergency Phone You Need! In a world dominated by smartphones, I never thought that a basic phone like this will still be this relevant. MyPhone just released their first and might be the only SOS emergency phone in the country right now called MyPhone My112. The MyPhone My112 is an emergency phone that has a dedicated SOS button. That SOS button ill trigger a siren sound whenever you are in danger. It also has a quite large 6,000 mAh battery that you can use as a powerbank to charge other devices in case there's no electricity. - Emergency SMS also includes the phone owner, blood type, allergies, doctor's name. It's also water and shock resistant and has a flashlight feature that you can use in the dark. Not only that, MyPhone also added a free USB lamp in it's package to make the deal sweeter and more relevant. It's priced at just 1,399 Pesos and now available nationwide. You can also get this one via Sun Cellular shops in postpaid plans. This great product especially for the Philippine market as we are a calamity prone country where we experience a lot of typhoons and flooding every year.